Sean Monahan is a co-owner of M.i. Productions (parent company of the nationally renowned Mission iMPROVable and M.i.’s Westside Comedy Theater) and a Senior Instructor for Business Improvisations who travels the country leading workshops that deal specifically with the intersection of business and improvisation. Sean has taught programs for Duke Fuqua School of Business and UCLA Anderson School of Management, as well as various companies around the world. He’s been improvising since 1995, having trained at IO Chicago, The Second City and the Annoyance, and can currently be seen performing weekly at M.i.’s Westside Comedy Theater in Santa Monica, CA. 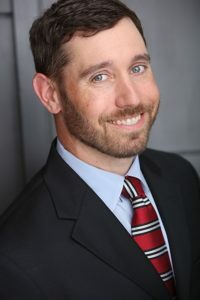 Sean also has 15+ years of experience in experiential and sustainable marketing, creating programs for such companies as Kraft Foods, Nintendo, SCJohnson, United Airlines, BASF and the Seattle Mariners. Past agency clients include DFCBX, Green Bear Group, 11 Communications Group, Matrex Exhibits and TBA Global. He’s won numerous awards for his creative and strategic marketing programs, including Reggie Awards, Pro Awards, Ex Awards and a Yahoo! Big Idea Chair Award. Sean’s a self-professed creativity geek who believes that the creative process is fundamental to human existence– there’s not a person alive who lacks creativity, they just lack practice. 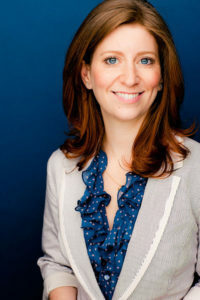 Gillian Bellinger has been an improviser and workshop facilitator for the last decade. She has taught workshops for Westfield Corporate, Cartoon Network, TBS, Luther College, Mt. Aloysius College, Macy's, State Farm, AT Kearney, National Business Travelers’ Association, Caltech, Edmonds.com, and Gilda’s Club to name a few. Gillian is very fancy and has a BA in Communication Studies and Theater from Hamline University and conservatory studies at The London Academy of Theatre and The National Theater Institute. She is also a graduate of The Second City Conservatory and Annoyance Theater Improv Training Center. She has presented as a speaker at National Association of Campus Activities and the National Conference for College Women Student Leaders. She currently teaches improv in Los Angeles at The Second City and Westside Comedy Theater. Her personal website is www.gillianbellinger.com. Bob Kulhan is CEO of Business Improvisations, the world-class leader in developing customized experiential learning programs for business schools and corporations. 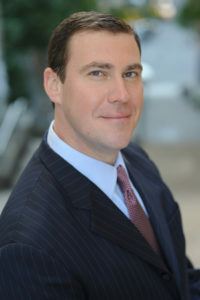 He is also an Adjunct Professor of Business Administration for The Fuqua School of Business (Duke University), as well as an Adjunct Professor of Business for Columbia Business School (Columbia University). Since the early 90’s, Bob has performed and taught improvisation internationally, with credits including Chicago’s famed Second City (core faculty & master artist in residence), ImprovOlympic (resident company/faculty), Columbia College, London TheaterSports, The Banff Centre, The Australian Graduate School of Management, Koç University in Istanbul, University of South Carolina’s The Darla Moore School of Business, Indiana University’s Kelley School of Business, UCLA Anderson School of Management (MBA & Executive Education), in addition to The Fuqua School of Business, Columbia Business School and countless corporations. Bob has had the fortune of performing improvisation and facilitating Business Improvisations workshops in the United States, England, Scotland, Germany, Singapore, Australia, Turkey, Dubai, and Banff, Canada. Mr. Kulhan is very excited to lend his considerable talents to steward Westside Corporate Creativity, including curriculum development, client relationships, and overall thought leadership. 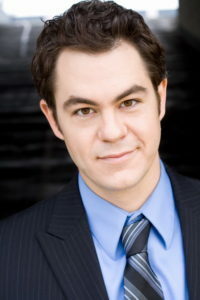 Bryce Wissel is the General Manager of M.i.’s Westside Comedy Theater in Los Angeles. Under his guidance it is one of LA’s premier live comedy spots, designated “Best Place To Scout New Talent” by Variety and voted “2012 Best Comedy Club in Los Angeles” by About.com. Bryce served as Director of Education for M.i. 's Westside Comedy Theater for several years and oversees the theater’s online presence and strategically placing Westside Comedy as the “go to” place for talent in the nation. After training at Chicago’s Second City & ImprovOlympic theaters, he joined the touring cast of Mission IMPROVable performing over 400 live shows in a 3 year span throughout the country. In addition to being Managing Director, Bryce is an actor, writer, and comedian living in Los Angeles. He has performed improv and stand-up comedy in over 45 states, including with the very popular Baby Wants Candy, an improvised musical.He can be seen weekly in the flagship shows The Grind and Mission IMPROVable. He also coaches the Cobranauts.